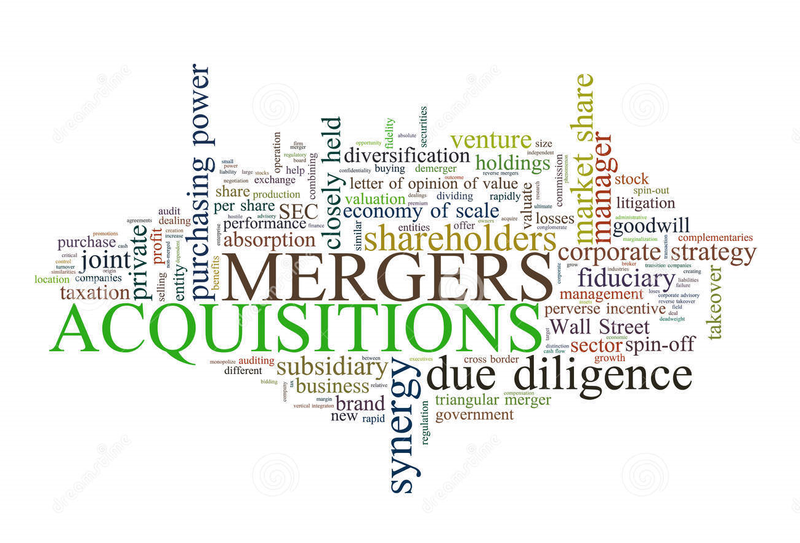 Mergers and Acquisition are very significant entities in outlining trends of industry, the category touches base with same. We are referring to news about Abbott’s acquisition of St Jude Medical and Alere hitting a rough patch. While the company had shelled out humongous ~31 billion dollars on combined deal, the deal had witnessed a hiccup when FTC asked company for more documents in case of St Jude, and for Alere, it was the subpoena from DOJ that made us feel about the deals falling apart. In the recent Q2 conference call Miles White, CEO and chairman of Abbott assured that everything in terms of these two deals is on right track, and there is nothing to worry about. Medtech players are known for their big cash shell out when it comes to acquisitions, Medtronic acquisition of Covidien, BD’s acquisition of Care Fusion and Pfizer acquisition of Hospira, just goes about showing how big of a cheque medtech behemoths sign-off during acquisitions. But the story does not end there for medtech OEMs, they have to go through numerous regulatory checks & approvals before acquiring companies. Abbott though had signed of a massive ~31 billion dollar cheque for St Jude and Alere, it still had to go through challenging tasks lined next. Miles White assurance on the deals was all the medtech fraternity was awaiting for. With closure of these deals,medtech consolidates further, which sure will entail more dynamics change for medtech industry. It captures basic company details and other associated data for readers across globe. Did Google just do this ? We are referring to its recent sale of robotic division (Boston dynamics) to Toyota. Google bought Boston dynamics with certain beliefs and vision in 2013. All of these beliefs started to fall apart when Andy Rubin left organization in 2014, and Google could not find any right replacement to fill in his shoes. 1. Why would Google let go of such a booming product franchise ? Its been inking deals with various conglomerates around similar products and platforms, & letting go of in-house know-how at this point of time didn’t really add up. 2. Why would Toyota buy it? It made sense when Toyota invested on Uber for projects around self driving cars and other associated developments , this deal on the other hand does not compliment the dynamics. Anyhow we wish Toyota good luck on its acquisition and look forward to what it longs to do out of it. For more updates on technology follow Medical Device Trends. Sales increase for any company is challenging task these days. Pressure from new technology platforms, established peers and affordability remain the major hurdles for multinational companies. Panasonic Indonesia, subsidiary of Panasonic looks to touch USD 88 million flag mark by 2020, a figure 70% higher from its 2015 figure of 51 million USD. The target alignment came after its parent company acquired Bayer’s diabetes business. The figure rationalization of USD 88 million was on the grounds of Indonesian division being used for offshore operations. As the diabetes requirement of meters and test strips are on rise both in developed and emerging regions, the extrapolated figures of the company can definitely be banked on. Even with all this rationalities 70% increase over 4 years seems like over optimist view of the company. who we all wish good luck. What is happening in medical device contract sterilization market? Generally consolidated industry or service line are static in terms of their activities, however one medical sub category begs to differ. Category in reference is contract sterilization services. Since 2014, when Sterigenics made an announcement to acquire Nordion, this industry, represented by 4 prominent players has been creating noises via one or the other news releases. The moment you think of sterilization services, two of the prominent names that surface up are, Sterigenics and Steris. While both the companies have expressed their love for M&A by participating in billion dollars (or almost billion dollars) transactions, their appetite for expansion does not seem to seize. Sterigenics has acquired close to 4 companies from 2014, one of which was Nordion , a buyout which involved cash transaction of USD 826 million. While the sterilization facilities of the company are spread across the globe, its growth focus has been global, a point well proven by its evenly spread M&A cash. That is, company not just shelled M&A cash in American market ( Latam) but also in European geography. In European region, the acquisition target was Gammarad, and in America it was CBE. Analysing M&As, highlights a pattern which says that most of the acquisition targets were pure play focused at bolstering gamma sterilization capabilities. Be it Nordion, CBE or Gammarad , all acquisition had gamma sterilization moto flagged to it. Expansion on the other hand not just focused at gamma, but also touched base with ETO and other sterilization types. While Costa Rica expansion had ETO in mind, Memphis and Illinois focused on Gamma. On one side Sterigenics was growing manifold through M&As and expansions, Steris was battling the only acquisition that it made in long-time. FTC was all over this mega merger amid two leading sterilization service provider. Steris breathed sigh of relief recently when US court denied FTC’s request to stop merger between the companies. While the consolidation of already consolidated market troubles the buyer <Medical, Pharma and other business segments>, distress is getting build within the industry too. Cobalt-60 supply and Environmental agency request of forbidding ETO sterilization continuity, remains two important challenges that are likely to keep contract sterilization service provider on their toes. Until this sub sector reaches any sort of stability it would be difficult to comment on its growth rate and size. However recent figures state the contract sterilization services market was valued USD 1.5 billion for the year 2014. What is happening in leadless pacemaker market? Should we or should we not remove the cables from our devices? – Is the question that entire medical device OEM family is asking to its R&D team. Though majority of the players are still seeking answer to this question, pacemaker suppliers are believed to have frozen on their answer. They have picked up the choice of going leadless / wireless. Below are some of the activities that took place around leadless pacemakers in recent past and paint a picture of where the sector is heading in terms of innovation. First leadless pacemaker hit the market in 2011 from CRM device pioneer St Jude Medical. Thanks to its initial investment on Nanostim that gave an opportunity to the company to buy the latter’s assets and gets an easy entry into booming leadless market. Nanostim choose European market to debut its technology.Though it had an early hiccups, it’s believed to have come on track soon enough, avoiding the industry’s uncalled criticism on innovative solution. Path of leadless pacemaker was then chosen by Medtronic, medtech behemoth known for its product diversity and huge therapeutic focus. Medtronic launched its device: Micra in April 2015. The only medtech giant who was missing from the party was BSC, which on its recent investor day expressed interest of venturing into market, market which is projected to generate overall sales of USD 700 million by year 2016. While the leaders of the industry are structuring their growth strategies, start-ups are closing funding rounds. One such company is EBR systems which has been backed by Split Rock Partners and SV Life Sciences. EBR system’s technology platform recently received CE mark, and is different from other leadless pacemaker in terms of area of impulse delivery. While the Medtronic’s and St Jude products provide the impulse to right ventricle, EBS’s WiSE powers left ventricle. After proving its point in EU markets, players have commenced their journey into US geography. Both St Jude and Medtronic have kick-started their individual trials for FDA submission, and are likely to share the study results in coming days. Leadless pacemaker market has been an interesting sub-category to watch, primarily because of issues that it addresses from its counterparts (conventional pacemakers). Casualties from the traditional platform had been the talk of the medtech town, where riata lead failure and Medtronic pacemakers issue have been wakening events for the entire medical device industry. While the former event resulted in St Jude shelling out more than USD 10 million in the form of settlements, latter resulted in increased emphasis on post market surveillance. Leadless pacemakers have put a lot of questions to rest, but industry always demands for more. This brings to our final point, on where OEMs should pause & celebrate on their pacemaker developement landmark. All the current solutions are around single side impulse delivery and what would really change the face of cardiac rhythm management, is a single pacemaker capable of delivering to both sides of the heart. St Jude Medical, who has made claims of working on similar device type surely seems to have an upper hand in comparison to its counterparts. What would be good to see is, start-ups channelizing their effort to develop similar platform. This would give an opportunity for established players to either fund the technology or probably acquire it. Mega mergers seem to have caught up a great amount of traction in medtech arena. For obvious reason they help focus the operations and devise strategy specific to individual domains or sectors. Royal Philips , Dutch giant, is one such company which is on quest for mega mergers and is also open to closing small deals, provided it complements their current business focus. Company has hired BOFA to accomplish the task of scouting players that could ideally fit in their future growth plans. Details about the Philips future plans and acquisition hunger were quoted in Bloomberg story, and have no confirmation from any sources as of now. The news recently caught up attention as medtech journals acknowledged and published the story, going by the assumption that a company that shelled out USD 1.2 billion for Volcano could have some more appetite for acquisitions left. M&A strategy of company basically complements its vision of standalone Healthcare business growth, growth which is greatly complemented by US market, a geography that drives more than 45% of global medtech sales. It also stands in alignment with their future move of hosting light biz IPO that would leave its divisions operate in silos. The structure hence left, would eventually require backing from acquisitions, and what could be ideal sector other than healthcare for such a venture. According to certain sources potential fit for the mergers are Elekta, Varian Medical, two of the companies who share the business overlap & synergy with Philips current focus. 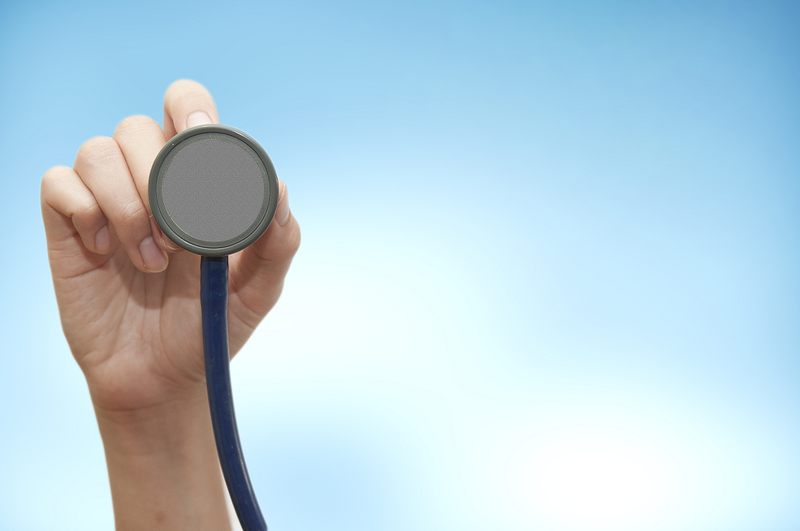 Medtech behemoths are all boarding on acquisition wagon sooner or later. This spree is rampant lately, mainly because of the convergence opportunities that consumer care products and healthcare platforms offer. Medical Device Trends M&A snapshot captures all the M&A deals of the month and runs a quick analytical check on major events.